On Wednesday the whole doctoral education community was saddened to hear of the death of Professor Alison Lee. 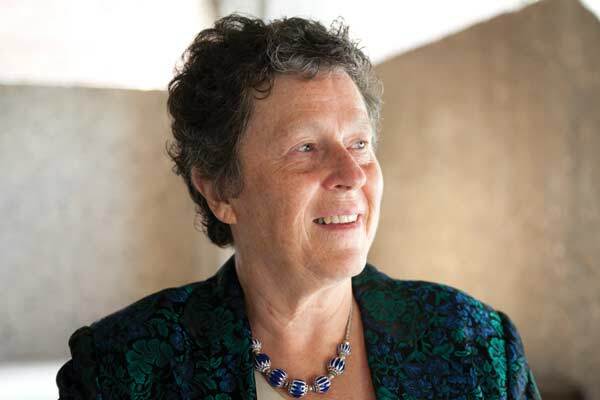 Alison was a fine academic of the best kind: a huge intellect coupled with a generous heart. It’s fair to say I know Alison best through her work, but I did meet her a couple of times. My colleague, Dr Robyn Barnacle and I once flew to Sydney to have an extended conversation with her about a possible research collaboration. We never did get that project off the ground, but I am sure it would have been great to work with her. @witty_knitter, aka Mary-Helen Ward of the University of Sydney has written a lovely post describing Alison’s generous encouragement and support, and this is just how I remember her on that day. Patiently listening to my half baked ideas and giving useful feedback; gently encouraging me to think more deeply. I was glad I found this photo of her on the UTS website as I think it captures her spirit beautifully. I am still at that stage where I’m sad, but at the same time can’t quite comprehend that she is really gone. Judging from the concern many expressed when the news that a serious illness was the reason for her absence at QPR this year, and the outpouring of affection on the IDERN email list this week at the terrible news, many of my colleagues in the research education community feel the same way about Alison, her work – and her passing. But as I write this it occurs to me that her work on research education is perhaps not as well known as it should be, especially within the community that she helped the most. Alison was a traditional academic; there’s no blog or Twitter feed, only her academic articles to remember her by. She was invisible to most of you because she wrote papers for people like me: research educators who work with PhD students. Her papers are some of the most cited in the field because they changed the way we think about, and theorise, PhD study. Most are written with a light touch; none are dense and incomprehensible and I think it’s significant that her best work was done in collaboration with others. Once you know her ‘style’, the influence of her thinking is clear, but it is a mark of her scholarship that the papers seem enriched by her presence, not saturated. Many research educators have taken up and used the ideas developed by Alison and her collaborators. I have no doubt that if you have gone to a good workshop on writing or supervision you have come under their beneficial influence. Alison’s ideas on identity, the lingering effects of trauma, gender, the nature of scholarship and power have been, and still are, crucial to my work here on the Thesis Whisperer. One of the driving ideas behind this blog has been to make these ideas, along with the ideas of many other scholars (such as Pat Thomson, who has also written a lovely blog post about Alison too) more visible to PhD students themselves. I have often included links through to Alison’s original papers, but if you are interested in doing a little downloading after reading this post, I strongly encourage you to try them yourself. It seems Mary-Helen and I have the same taste because my two favourites are the same as hers: “Forged in Fire: Narratives of Trauma in PhD Supervision Pedagogy” (Lee & Williams 1999) and the fearsomely titled “The PhD and the Autonomous Self: Gender, Rationality and Postgraduate Pedagogy” (Johnson, Lee & Green 2000). Thank you Alison. You are already sadly missed. This entry was posted in Miscellany and tagged obituary. Bookmark the permalink. « What AcBoWriMo 2011 (Academic Book Writing Month) has taught me…. Thanks for this Inger. By chance the @witty_knitter gave me a copy of ‘Forged in Fire’ recently, after a particularly difficult meeting. The paper was so perspective shifting that I actually googled Alison to see if she was still at UTS, and contemplated sending her a thank you email (but thought she might find it kind of weird to receive a joyous message saying nothing more intelligible than ‘Oh My God Yes And Thank You!). I absolutely recommend the article to people – it has that wonderful quality of reading like it was written especially for you. I’m not sure jann, I will kepp an eye on the IDERN list and let you know if any details are given. Thanks Inger. I’m hoping that there will be something in Sydney. There is nothing on the UTS webpage yet. Maybe they don’t do that kind of thing? Thanks Kitty. That is very helpful. You are invited to a celebration of the life and work of our much loved and much missed colleague and friend, Professor Alison Lee. If you are unable to attend but wish to send a written message to include in the message book, please send to mariana.baltodano@uts.edu.au by Sunday 14 October.